Yes you asked for it and now you have it. First, it was MTN Ghana unlimited free browsing cheat but now it's Nigerians turn to enjoy a brand new MTN Cheat as new month gift in 2018. I have provided all the requirements, settings and Spark VPN Config files to tweak latest MTN free browsing cheat 2018 working both on Android and PC without a password protection or premium features that asks for payments. This cheat also works with XP Psiphon VPN for Android. This year 2018 has been an unfavorable year for tweakers who usually capitalize on ISP loopholes to bypass network companies eagle eyes in other to enjoy free browsing cheats. Note that we are not in any way encouraging anyone to abuse this opportunity or use this post wrongly because it's basically for educational purposes and to alert MTN of the loopholes on their network. 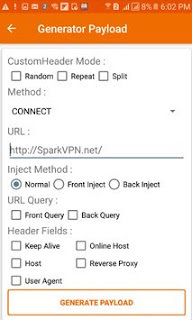 Spark VPN is a tool to that allows you to set custom HTTP header. It's used to connect your SSH/Proxy with custom header to help you access blocked websites behind firewall with SSH tunneling support & proxy server using build-in Android VPN. It will help you surf the internet privately and securely. Previously, this VPN has been used for 9Mobile cheat and Glo cheat. > Free internet Bnagladesh, Dubai, Philipine, Nijeria, Brazil, India, Pakistan & Others All Country. ✔️ Now launch your spark vpn app, then at the menu, locate (TWEAK) and tap on it as you can see. ✔️ After that, locate the svc config you downloaded on our telegram group, select and import it. ✔️ After successful importation, the home menu screen of your spark vpn should display the config file. ✔️ It should connect after few seconds and you will be able to enjoy the MTN unlimited free browsing cheat 2018. Do you know you can enjoy virtually every cheat working on your Android phone on PC? This is made possible with the help of an app called PdaNet which you need to download and run on your windows PC. I have noticed that this MTN cheat 2018 via stark vpn and AnonyTun vpn is capped on some SIM cards but unlimited on some SIm especially old 0803 MTN lines. 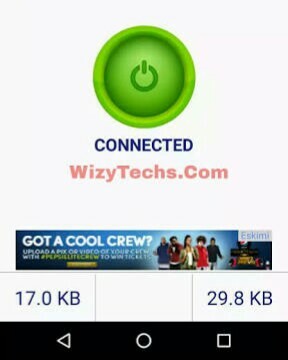 Let's know if this tweak works for you via the comments box on this blog wizytechs.com. Is it stark VPN or spark VPN?